St. Mary's Episcopal Church, Tyaskin, was built in 1798 as a "chapel of ease" for Old Green Hill (St. Bartholomew) Church. This was to accommodate parishioners in bad weather when roads became a more important means of transportation than water. Old Green Hill is situated on the bank of the Wicomico River when water was the primary means of transportation. The original St. Mary's structure burned to the ground in 1834. Reconstruction was started immediately and completed in 1845 using the same "meeting house" architectural style as the original. It is one of the oldest religious frame structures in Western Wicomico County. Extensive repairs and changes have been made throughout the years. The walls and the vaulted ceiling are beaded board native of local leaf pine installed about 1915 to replace badly damaged plaster interior. In the 1990s, the entire church was lifted and the foundation replaced due to extensive termite and water damage. Also, a handicap accessible ramp was added. 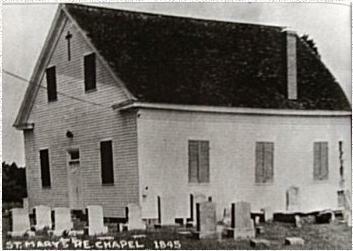 The church is surrounded on three sides by the oldest continuous use cemetery in Wicomico County. 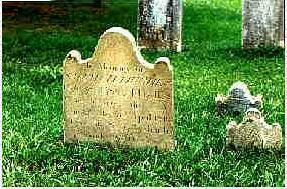 Historical data was gathered in association with Handley's Eastern Shore Genealogy Project, and with the Wicomico County, Maryland USGenWeb Project website. Click to view these records. Tours can be scheduled for individuals or groups. Please call the parish office at (410) 873-2790.